I frequently receive letters from visitors like you, asking about how to use tea tree oil for ringworm. I've posted one of those letters here for you to read. "I have reviewed your website and need to know how to apply the tea tree oil for ringworm. My 3 year old has ringworm on his face by his left temple. It is now moved down to his upper cheek. We have seen a dermatologist but the Rx given to him he had 3 of the 4 side effects from the prescription cream. I am a licensed massage therapist and try to go the alternative route as much as possible. We have to get this under control before it goes into his scalp area. I don't want anymore Rx's for his face because he has sensitive skin. How do I apply this to his face because it is so close to his left eye area? I don't feel that I trust the dermatologist anymore. Signed a very worried mother." Can I Use Tea Tree Oil? This is just one of the sorts of letters I get on a regular basis concerning tea tree oil for ringworm. My daughter has had what the dermatologist and her Primary Care Physician believe to be ringworm. We have treated it with an Over The Counter cream, and then a prescription cream, and it still has not gone away. It's gotten worse. In fact, it has spread. I have been doing some research online and came across the uses of Tea Tree Oil. 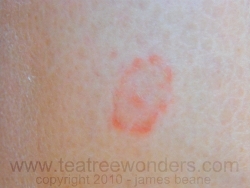 I am going to give tea tree oil for ringworm a try and see what happens. Any helpful hints? Are There Any Answers? Are There Any Recommendations? First off, I am not qualified to prescribe, treat, and I certainly can't cure anything, so whatever I can offer here would only be to help your body help itself with nutritional and topical agents. Due to strict government regulations I could get in a heap of trouble for presenting anything here as medicine, cure, or treatment. As with anything else, I need to tell you to consult with a medical professional for advice and medical care. What I present here is for informational purposes only. Ringworm can be really tough to get rid of, and the recommendation is to keep the area clean with soap and water, washing the area and applying tea tree oil for ringworm three or four times a day for several weeks. You'll need to keep at it. Also check any pets or animals that you come in contact with, they are a frequent source of infection. Please do not use tea tree oil in cats, birds, or small dogs. Check with your veterinarian for treatment options. Ringworm seems to affect folks most often when their immune system needs a little kick start nutritionally. If it were me, I'd probably find the best multivitamin I could. You can use tea tree oil for ringworm, of course, and we also carry over 600 other health, wellness, and personal care items. As a side note, some people find the tingling or cooling sensation of tea tree oil unpleasant, particularly when the oil is used straight. If you find this to be so, it can be diluted with grapeseed, olive, sunflower, or vitamin e oil, down to a 10% solution, and still be effective. Of course, if it doesn't bother you, the full strength seems to work more quickly. For the least irritating tea tree oil, look for one that is about 40% terpinen 4-ol. You'll know by the rating on the bottle as "T40" or "T41". This is the percentage of the terpinen level. In our family, we use tea tree oil straight. 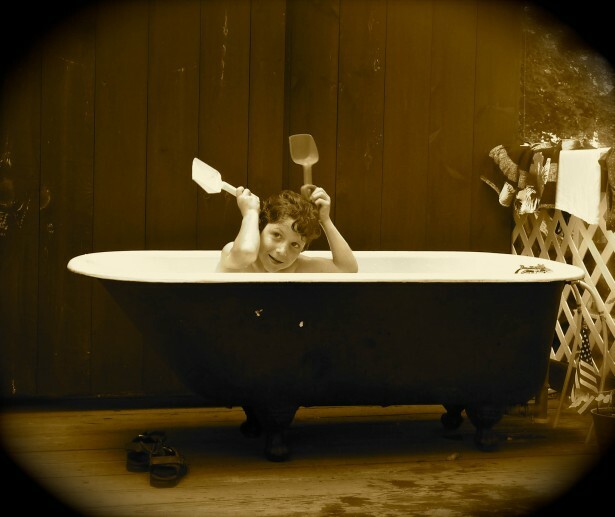 We apply it on ourselves and our children (all the way down to age three), for cuts, scratches, burns, and bug bites. A recent study showed that fewer than 1% of people had any sort of contact dermatitis or reaction to tea tree oil. It is extremely safe.